On Wednesday, February 14th, we not only celebrate a day of love, Valentine’s Day, but also the events that lead up to God’s greatest sign of His love for us as He leads His son on the path to the cross. The worship services to recognize Ash Wednesday, and the beginning of the journey, will take place at noon and at 7:00 pm. Both services will offer the imposition of ashes for those who wish it. This year the Lenten Study will begin on Wednesday, February 21st, at 7:00 pm, and continue on February 28th, March 4th, March 14th, and March 21st. 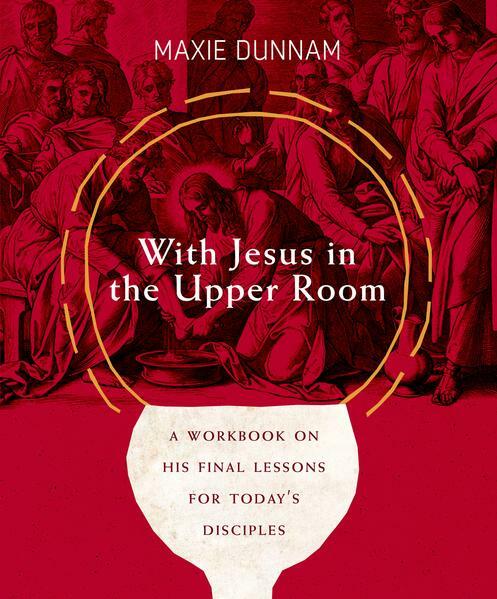 We will be studying the book entitled With Jesus in the Upper Room, by Maxie Dunnam. This course of study is open to anyone who wishes to participate; the cost of the book is $12.49 and we request that you contact Pastor Lee to let him know of your interest (so he can order a book for you) by February 6th. Jesus knows that this is the last time He is physically going to spend with you. He knows He’s going to die. What does He need to say? What lessons has He taught you that He needs to underscore? How does He need to relate? What actions does He need to take to make clear who He is and what He has tried to communicate? His words in the Upper Room were as monumental for his twelve disciples then as they are for His contemporary disciples now. In this seven-week study, Maxie Dunnam leads readers through John 13–17 to this most precious legacy of Jesus’ teaching, the distillation of His thought and message—what He really wants us to hear. We are His modern friends, to whom He speaks as lovingly as He did to His friends in the Upper Room. Knowing all of this, will you listen to Him?